The World Bank recently released the results of the latest Global Findex Report at their Spring Meeting. The data showed that great progress has been made in the number of people who are financially included. Between 2011 and 2014, 700 million adults across the globe became account holders. The number of unbanked adults decreased to 2 billion people worldwide. At the event, MasterCard committed to reach 500 million financially excluded people by 2020 – a bold, but necessary move. It was in the context of these positive developments that participants at the World Economic Forum on East Asia, discussed how to keep the momentum going. Matthew Driver, president, South East Asia, spoke on several panels where he discussed trending topics with other industry experts and thought leaders. 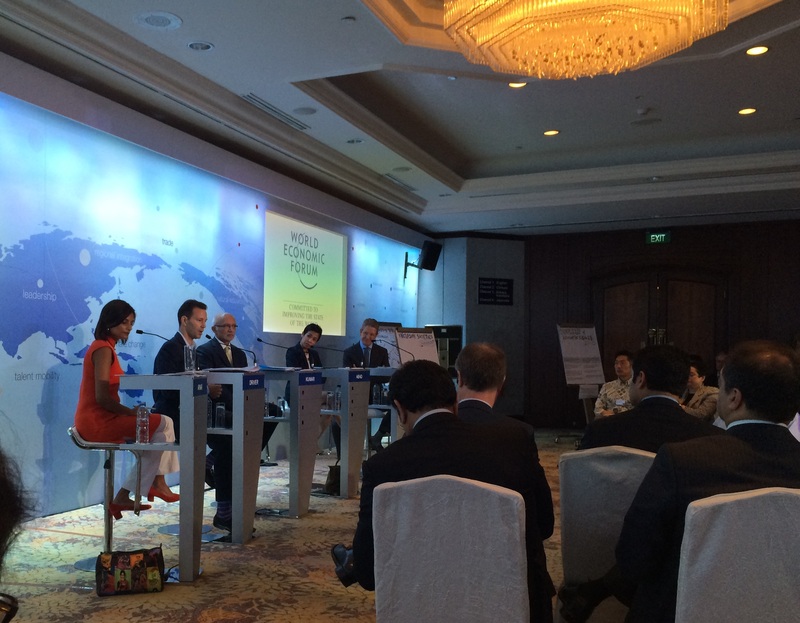 Discussions varied from enabling financial inclusion to digital disruption. Matthew shared his thoughts on how the ASEAN community can prepare for game-changing global developments and the crucial role technology plays in driving change. At the Forum, MasterCard released the Indonesian findings of the Connectors Project which looks at the role of networks in Indonesia, specifically how people move to greater economic inclusion and who helps them on that journey. The World Economic Forum published a blog by Matthew, in which he explained why Financial Inclusion is so crucial to reducing poverty and increasing economic growth. You can find further snapshots of Matthew’s views on financial inclusion and MasterCard’s growth strategy in the region via Bloomberg TV, Bloomberg TV Indonesia and Channel NewsAsia.